Everglades National Park is the largest subtropical wilderness in the United States, consisting of 1.5 million acres of wetland. The Park protects an unparalleled landscape that provides important habitat for numerous rare and endangered species like the manatee, American crocodile, and the elusive Florida panther. 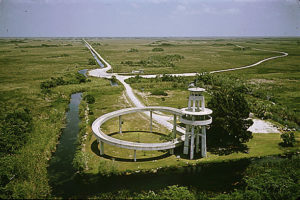 The park covers such a large area of south Florida, There are three entrances to Everglades National Park and they are not connected. The distances are significant. This is a unique park. Boating and kayaking is one of the main ways of exploring the park. 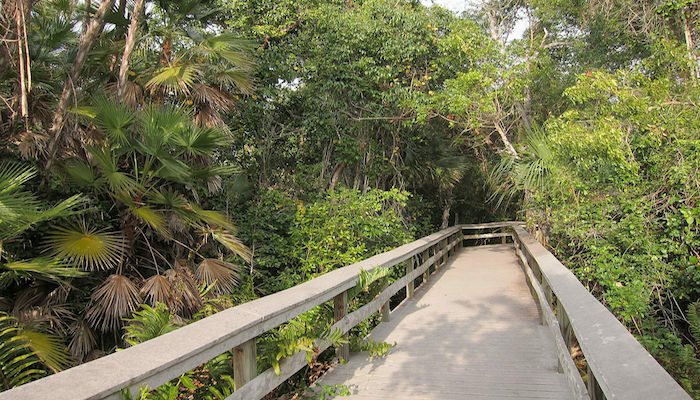 The best places for running in Everglades National Park are some hiking and biking trails: Shark Valley Bike Trail; Pinelands trails; and the Flamingo area trails. A couple of things to be aware of: The weather can be very hot and humid, so plan accordingly. In summer especially, there can be intense thunderstorms. Also, be aware of mosquitos. isitor Center, which is 40 miles west of Miami. It is 7 miles out West Rd. to the Visitor Center, and 8 miles back along East Rd. Be aware of trams – best bet is to run opposite. Most of the pines in this area were logged before the establishment of Everglades National Park in 1947. Roads created by logging, fire roads and old farm access roads have created a 43 mile (69 km) network of paved and primitive trails through the pinelands. Closed to vehicular traffic, most of these trails are simply two ruts in the limestone bedrock. They are good for hikes, and a few are open for bicycling. 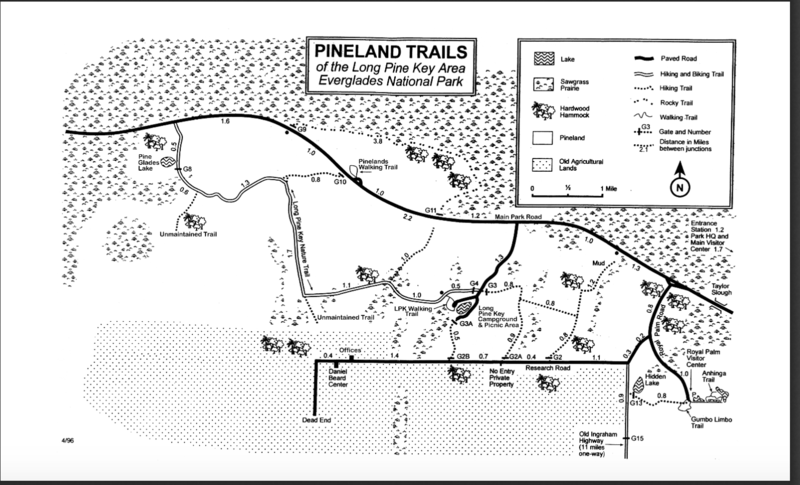 The best bets for running are to follow the ‘biking and hiking’ trails on the map, principally the Long Pine Key Nature Trail, which runs 7 miles one-way from Pine Glades Lake. This is the largest contiguous pine rockland habitat in all of North America. Note: this is more for trail running. The Flamingo area is at the southern end of the park, about 90 miles from Miami. There are several terrific trails in this area for walking/hiking that are also good for running. Best bets are the Snake Bight Trail (3.6 miles RT), Bear Lake (3+ miles one-way), and Rowdy Bend. Also, ask the ranger about the Coastal Prairie Trail, temporarily closed.